Wine Lifestyle Photography and Bottle Shots: What Options are There? Humans are incredibly visual by nature. Images can help you facilitate and enhance how customers perceive your brand. Your winery’s photography and bottle shots serve as your ambassadors. Not only are they indispensable for your website and online store, they are also valuable assets across all your marketing channels. Product photography helps you nurture the decision-making journey of a typical wine buyer. The quality of a wine bottle shot directly influences sales: the better it looks, the better it sells! There are plenty of great reasons to display your wine bottles on a pure white background: highlighting your products and improving consistency come first to mind. However you need much more visual content to run a successful marketing campaign. Using a bottle shot on a white background for social media is uninspiring to say the least... That’s where wine lifestyle images come in. When your products are displayed in context, they tell a story, persuade, and inspire. It is especially crucial for the latest “Instagram generation.” People put even greater emphasis on how things look. Consumers will not buy, nor trust, a brand that is using subpar imagery. That said, it can be hard for wineries to meet these high standards. Finding a budget-friendly, logistically viable, and repeatable wine photography solution is challenging to say the least. You now have a new option! You can use Outshinery – an innovative service based entirely online. Using the same technology as Hollywood, we can create all your visual content (bottle shots, lifestyle images and short product videos) without the need for physical samples. So, do you want lifestyle images for your winery? Let’s see how these four options compare. Photographers come with various skill sets and styles. The good ones will do a fantastic job, but their services can be very costly and hard to repeat. These photo shoots also take a lot of time to organize. Photographers rarely work alone – they need to hire a stylist to source and set accessories, as well as an assistant. More people can equate to more risks. Initial budgets can explode, logistical issues can arise, and unforeseen delays can occur. It may take weeks before you receive your final photos. And after all that, you have absolutely no guarantee on the final results – but are stuck with them, matter how satisfied with the outcome. 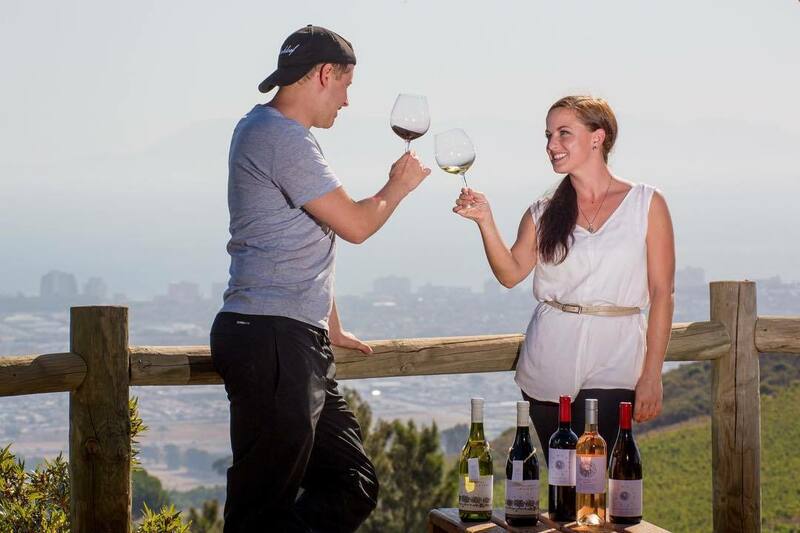 Stock photography in the wine industry tends to be generic and overused. 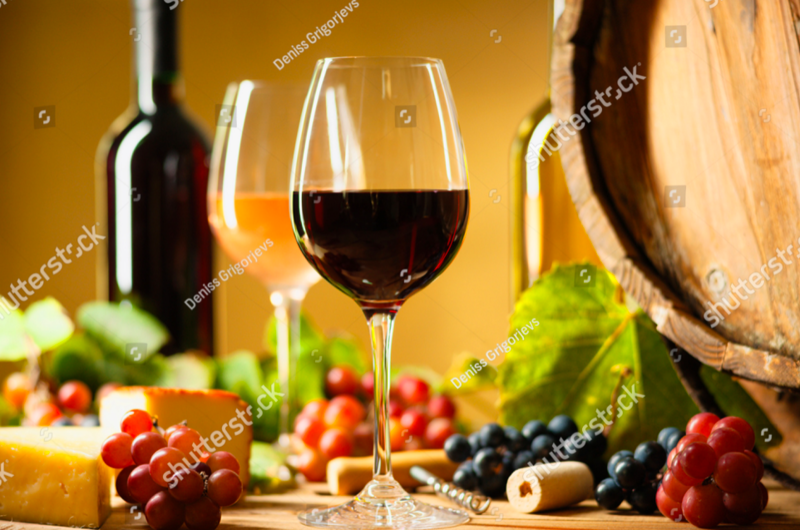 Stock photography websites are abundant, providing generic wine photography images for instant download. Chances are, however, you will struggle to find a truly compelling image that reflects your brand. 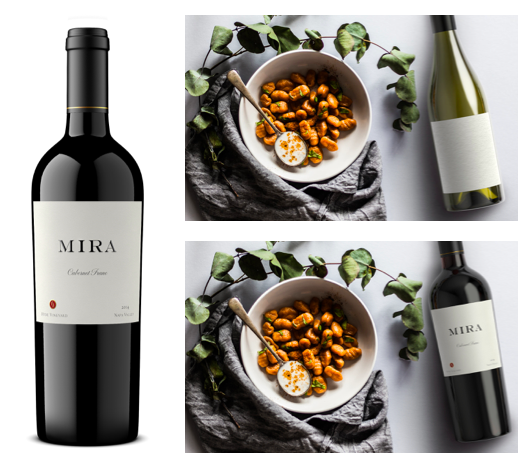 You may end up browsing endlessly, while in the end, settling for an uninspiring wine lifestyle photo...and then you still have to figure out how to photoshop your label onto the image! The problem with stock photos is that they tend to be generic and overused. If everyone uses the same images, they won’t contain the character and personality that make people believe in your brand. A stock photo may provide a quick fix when in a bind, but it won’t let your brand truly shine and get noticed by your audience. Do-It-Yourself wine photography may not be the best option for your brand. You can always try to go the “Do-It-Yourself” route. After all, the quality of the camera on your phone is really good! The catch is that not only do you have to make the time in your already busy schedule, but you also have to take time to purchase the accessories and style the scene. And then you have to nail the lighting… which is easier said than done! We all know that wine bottles are highly reflective, and the glass surface will show anything and everything from the surrounding environment, including you, holding your phone! For all these reasons, enticing, DIY photography for the alcohol industry is incredibly hard to achieve. Our services at Outshinery outshine all the options above by combining the advantages of stock photography (online, speed, guaranteed outcome) with the craftsmanship of talented photographers and prop stylists -- without requiring you to step behind the camera. The results? Custom Bottle Shots and Lifestyle Images featuring your brand, drawing on seasonal themes and celebrations while avoiding clichés. We’ll take care of everything! First, we re-create your bottles in a 3D modeling software and then place them digitally into a backdrop of your choice. To ensure a hyper-realistic result, the glass surface of your bottle will reflect the surrounding environment in order to integrate seamlessly. No one will notice the magic trick! This is CGI applied to the alcohol industry. Best of all, you can be certain of the results before committing, and it only takes a few business days to receive dazzling photos displaying your products. Outshinery first creates individual bottle shots, which then allow you to place your product into any backdrop, creating enticing lifestyle images. Each of the Lifestyle Images we offer are created with purpose, right from the get-go. Our mission is to equip you with visual content that delights consumers and drives more sales. Our wine Lifestyle Images are perfect for websites, editorials, emails, brochures, social media, and so much more. Quick turnaround time and dedicated service allow you consistent, quality marketing assets whenever you need them. We live in a visual world. From an attention-grabbing social media post to a newsletter with in-context imagery; from physical flyers and banners to product pages that convert… desirable photography does a lot of the legwork for you. Quality visuals reflect product quality. Give your brand justice with proper visual content. Stay inspired, always have great wine photography on hand for marketing, and drive more sales. Oh! And we are so confident you’ll like what you see that we offer a complimentary test shot to all first-time customers! No strings attached, just sparkles. 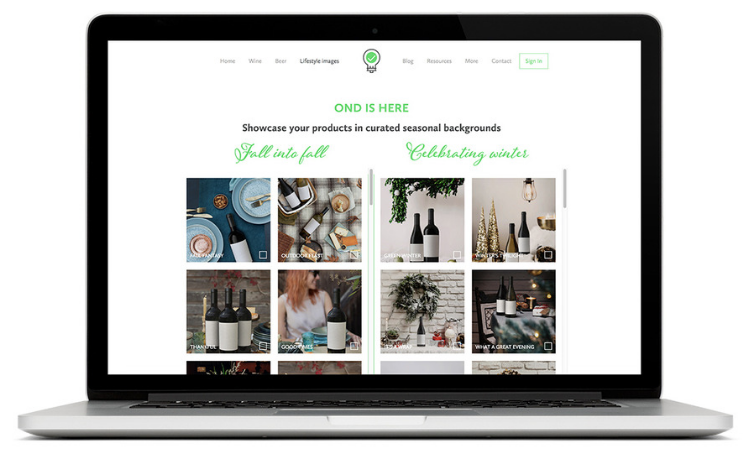 TRANSFORM YOUR WINERY WEBSITE WITH OUR FREE EBOOK! 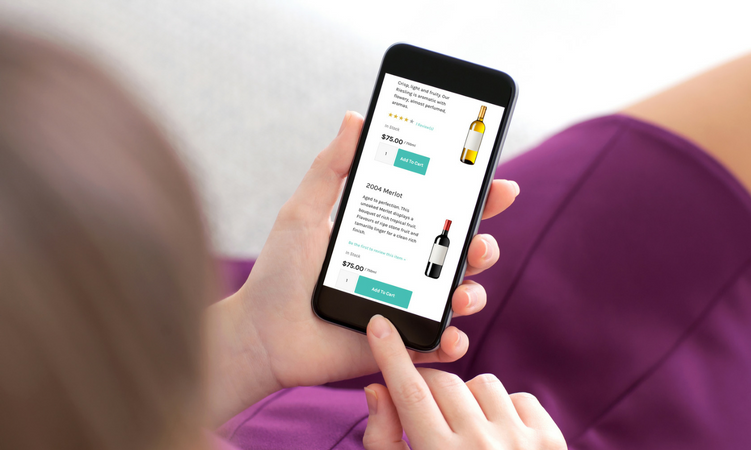 LEARN HOW WINEDIRECT CAN HELP YOU TAKE YOUR WEBSITE TO THE NEXT LEVEL. Find more resources from this category. 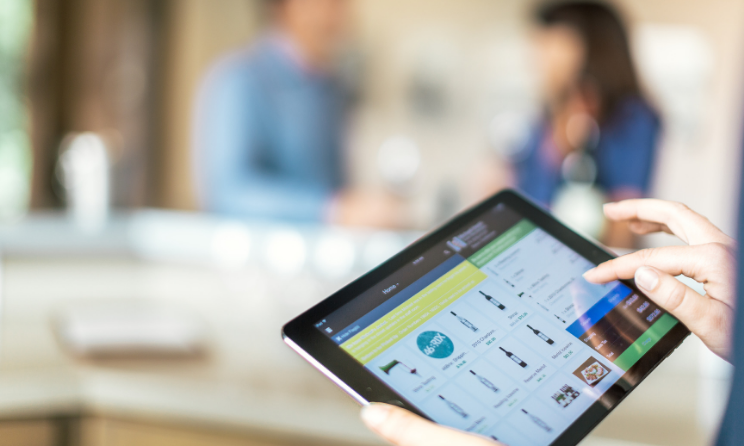 Partnering with a DTC software provider is an exciting step forward for your winery. Learn how your winery can set digital marketing goals and measure success in 2019, from our partners at Modern Digital. Get tips from Tina Serio with Modern Digital on how your winery can leverage digital in 2019.